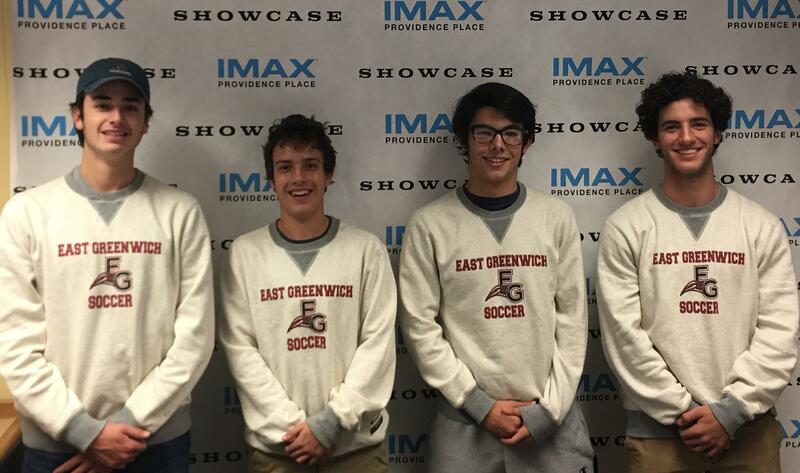 Congratulations to this week’s Showcase Cinemas High School Team of the Week: East Greenwich High School Boys Soccer! The entire EGHS Boy’s soccer team, varsity and JV spent all Saturday, October 21,volunteering their time raising funds for The American Cancer Society. People in the community signed up for a time slot for small group of the boys to come do outside chores at their homes. The boys came to these homes, did the work they were asked to do and in turn, the household made a donation to The American Cancer Society. They made over $2000 to donate in memory of Neil Fachon,who was a graduate of EGHS and on the soccer team. Neil passed away last year.